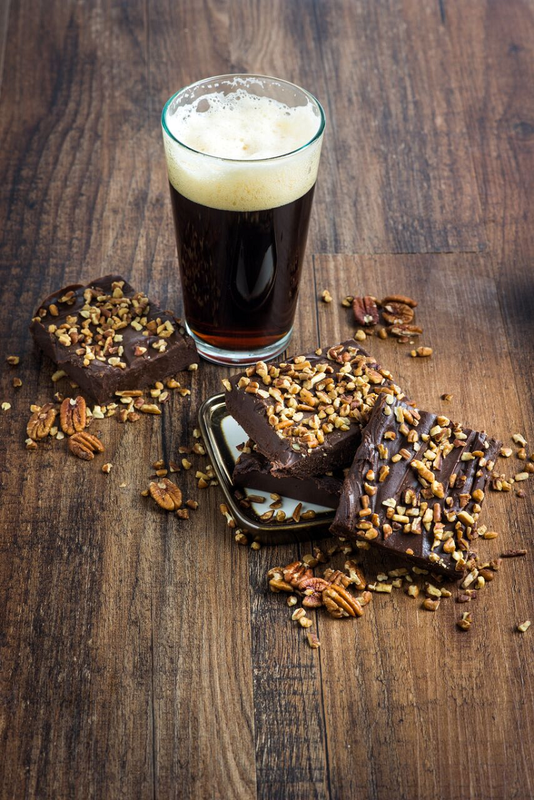 For a decadent dessert that can be either prepared or paired with maple beers, look no further than this recipe for stout pecan fudge. Opting for a barrel-aged stout provides an additional depth to the fudge’s richness here, and chopped pecans give a seasonal crunch that makes this one an all-too-easy dessert for the cool months ahead. 1. Line an 8×8 baking pan with wax paper; set aside. 2. In the top of a double boiler over gently simmering water add the chocolate, 1/3 cup beer, and sweetened condensed milk. Stir until well combined and chocolate is melted. Remove from heat. 3. Stir in the vanilla extract and remaining two tablespoons beer. 4. Pour into prepared pan. Top with pecans. 5. Chill until set, about three hours. Cut into squares. Brewers continue to experiment with specialty ingredients, pushing the boundaries of flavor. Since a good beer deserves a good meal, All About Beer Magazine asked Jackie Dodd, founder of TheBeeroness.com, to taste a few beers brewed with maple and offer tasting notes and pairing suggestions. Get more pairing ideas and recipes at allaboutbeer.com/food. 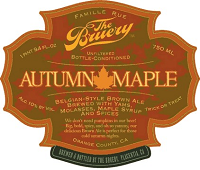 Tasting Notes: A nice carbonation makes this malty, fall seasonal very drinkable. The flavors of nutmeg, cinnamon and molasses are carried on a backbone of Belgian yeast flavors of bread and bananas. The rich malt and warm flavors help this beer pair well with a variety of foods, and the nice carbonation helps cleanse the palate when pairing with rich, fatty foods. Possible pairings include duck, pork chops, gumbo and gouda mac and cheese. Tasting Notes: Once again High Water creates a dessert-flavored beer that lives up to the promise. The flavors of a pecan pie could easily get lost in the wrong brewer’s hands, but this is a beer that is exactly what you want it to be: drinkable pecan pie. 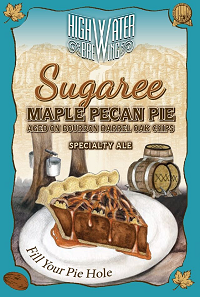 The flavors of pecans, brown sugar and even notes that resemble a pie crust come across your palate in a way that isn’t overly sweet. Pair this one with parsnip puree, roasted sweet potatoes or French onion soup. 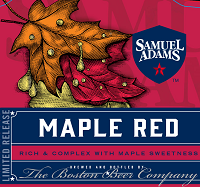 Tasting Notes: A fall beer with more of a subtle presence brings notes of cinnamon, malt, vanilla and burnt sugar. A high, bright carbonation allows this beer to pair with fattier foods with a nice palate cleanse between bites. This is a beer that isn’t going to overwhelm, and therefore will make a natural pairing for flavorful dishes like grilled lamb, pork chili or Dubliner cheese. In heavy saucepan, over low (low-medium) heat, stir & melt chips with sweetened condensed milk and salt. Remove from heat when melted smoothly. Stir in vanilla and other ingredients (1/2 cup to 1 cup of nuts in the original recipe, or toffee chips and Samichlaus in my version). Spread mixture into an 8- or 9-inch square pan lined with wax paper. Chill for two hours or until firm. Remove fudge from pan to cutting board and cut (16 squares for kids, or 32 slices/64 squares for adults who find this stuff too rich; 64 squares could be pierced with toothpicks for less melts-in-your-hands eating) and peel off paper. The list of ingredients says 1/2 cup barrel-aged stout, but the directions say to add 1/3 cup beer. I went with the latter – fingers crossed!